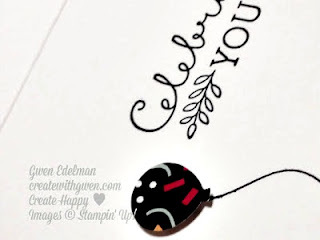 Create with Gwen: On Your Special Day Card! On Your Special Day Card! Playing this weekend with new goodies! 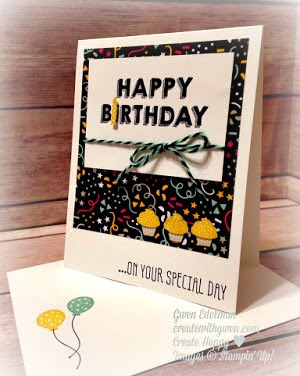 We created this Birthday card at Stamp Club this week and at a workshop last week. 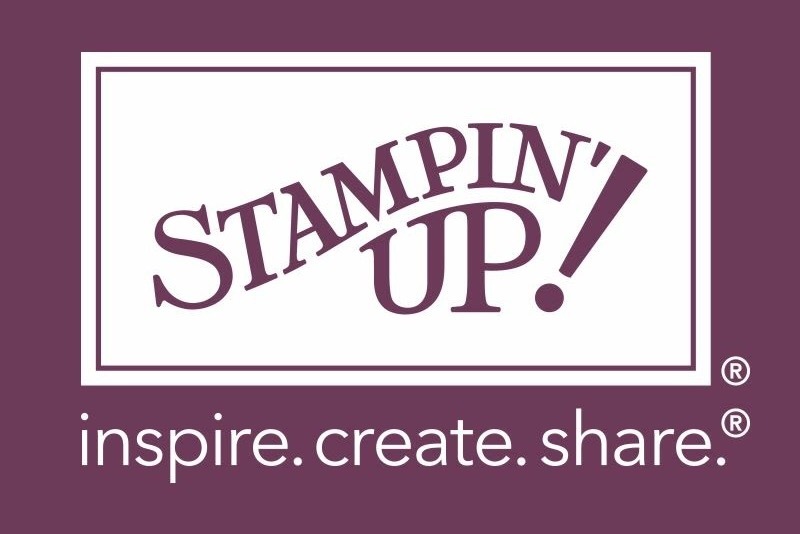 Now preparing more for a customer who is having her friends come to a Stampin' Party later this month! Easy to create no matter your card making experience. 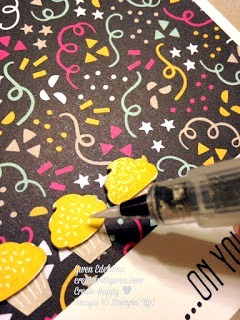 Loving the new It's My Party Designer Series Paper 12" x 12" Stack! Beautiful, happy, paper. And I could stamp and punch out those tiny cupcakes all day! 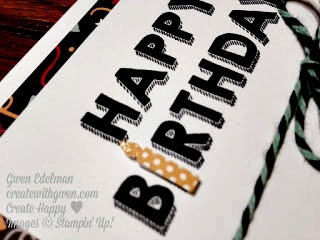 Inside of card is stamped using Suite Sayings (Occasions Catalog pg. 41) and punched out the balloon from the DSP. Adding a little shimmer to the cupcakes and the candle, with Wink of Stella brush, was the finishing touch!